Letrozole is a nonsteroidal competitive inhibitor of the aromatase enzyme system. 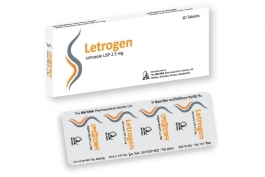 Letrozole is indicated for the adjuvant treatment of postmenopausal women with hormone receptor positive early breast cancer. It is available as 2.5mg tablet.